Briefly deciduous tree in cold climates, evergreen in milder climates. 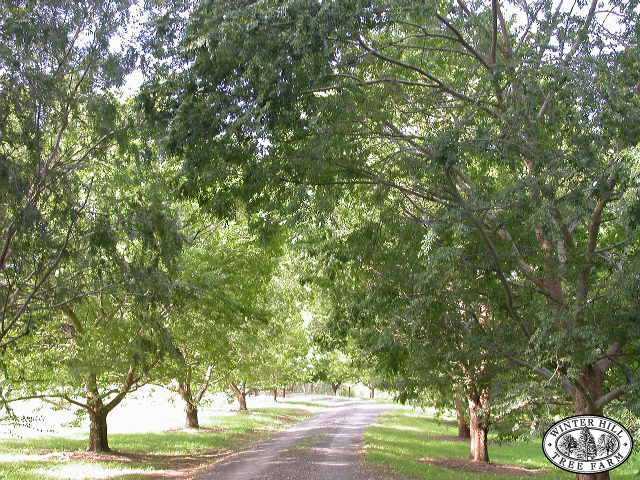 Grows with horizontally ascending branches, becoming an open, round-headed tree in maturity. Very small, glossy green leaves , which turn yellow before falling in winter. 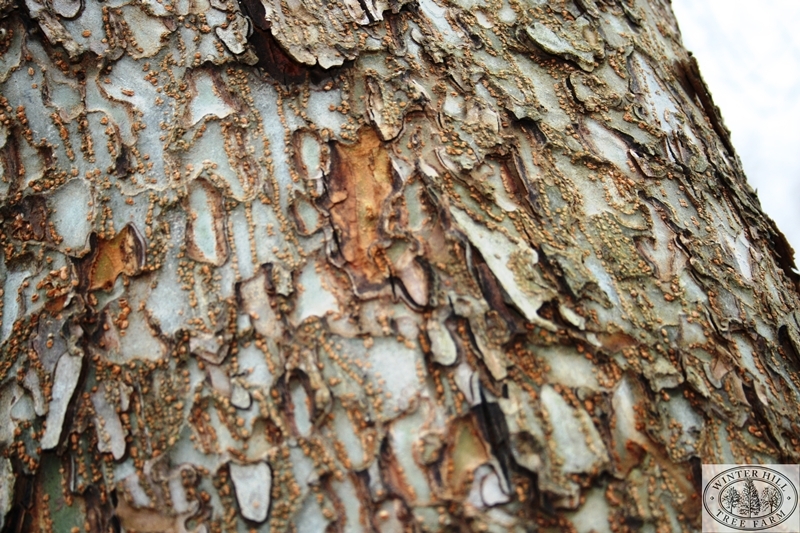 Attractive bark, exfoliating in irregular patches, revealing beautiful mottled colours of grey, green, orange and brown. Flowers in Autumn. Does well in almost any fertile soil with plenty of moisture, but will tolerate dry periods. Hardy and fast growing, approximately 90cm per year.